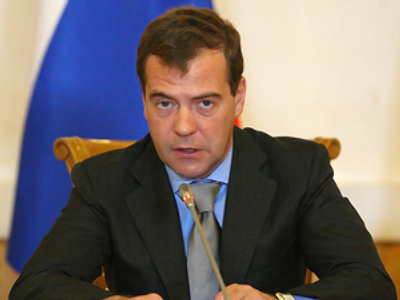 President Dmitry Medvedev has called on parliamentary faction leaders to sort the issue of lawmakers missing the State Duma sessions. “It is rather sad to look at empty chairs. 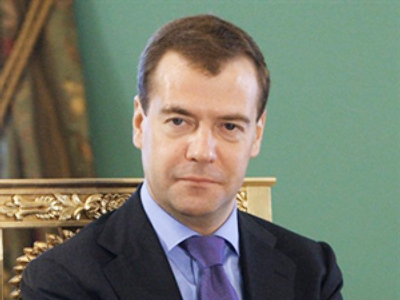 After all, the mandate [of a deputy] is given to every parliamentarian by the people, our nation, and it should be fulfilled with honor,” Medvedev said during a meeting with the leaders of the State Duma factions on Tuesday, RIA Novosti writes. “We have discussed with United Russia [the majority party] and some other parties what can be done. 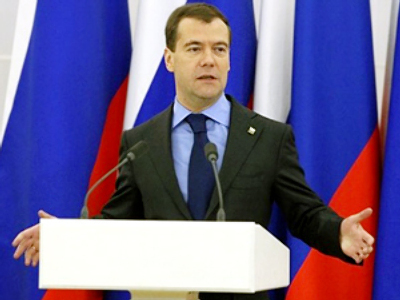 What I am suggesting now is that we finally discuss respective law initiatives and initiatives on changes to internal documents,” Medvedev said. Commenting on the matter on his page in the microblogging site Twitter, the president also put deputies to shame, saying that they “should go to work”. He recalled that it was not the first time attention has been drawn to the issue of shirkers in the lower house. 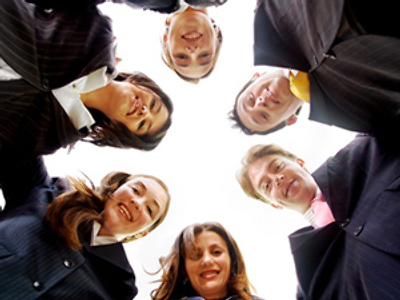 During his April meeting with the faction leaders, the president also raised the topic of discipline. 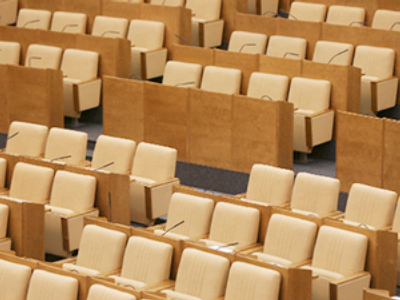 Following criticism from the president and heated debates in public raised by a video showing an empty session hall and a bunch of deputies running through lines of chairs pressing voting buttons, lawmakers have come up with quite a few suggestions. The ideas of possible punishment for shirkers range from cuts in salaries and stripping lawmakers of such privileges as fare-free travel to outright dismissal. Also on Tuesday’s agenda were the innovation center in Skolkovo, not far from the capital and, as has become a tradition in the last two years, overcoming the global financial crisis. According to the president, some preferences which the state will provide for Skolkovo will boost the creation of the center. 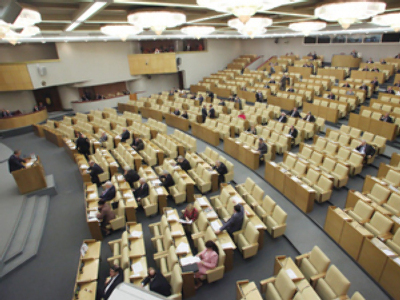 He added that the bill that will set the principles of the work of the Russian Silicon Valley is unprecedented. "We have been trying recently to avoid benefits for concrete facilities and territories, but we decided to do it another way in this case," Medvedev said as quoted by Itar-Tass. "This is the right way, and we should advance along it," he said. “We try to avoid tax breaks for specific regions, but they're needed in Skolkovo to get the project off the ground,” Medvedev also wrote on his Twitter page.